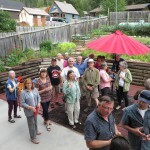 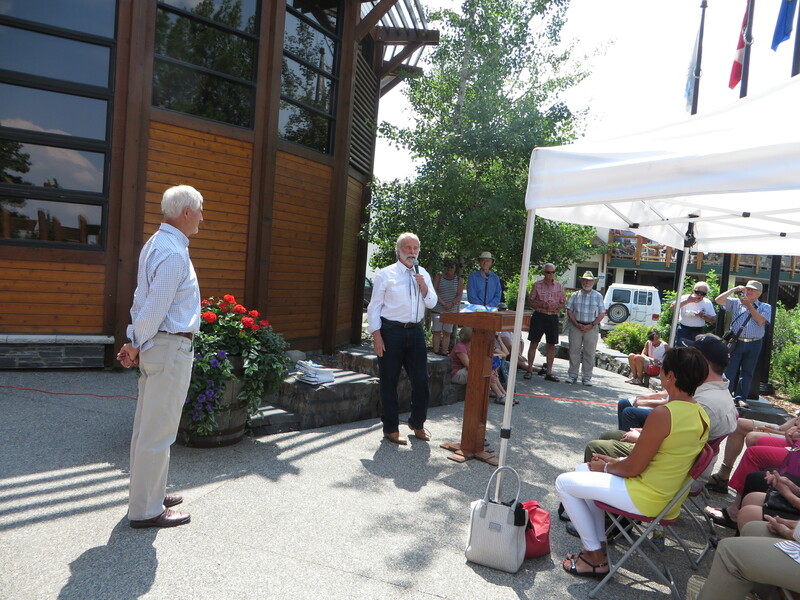 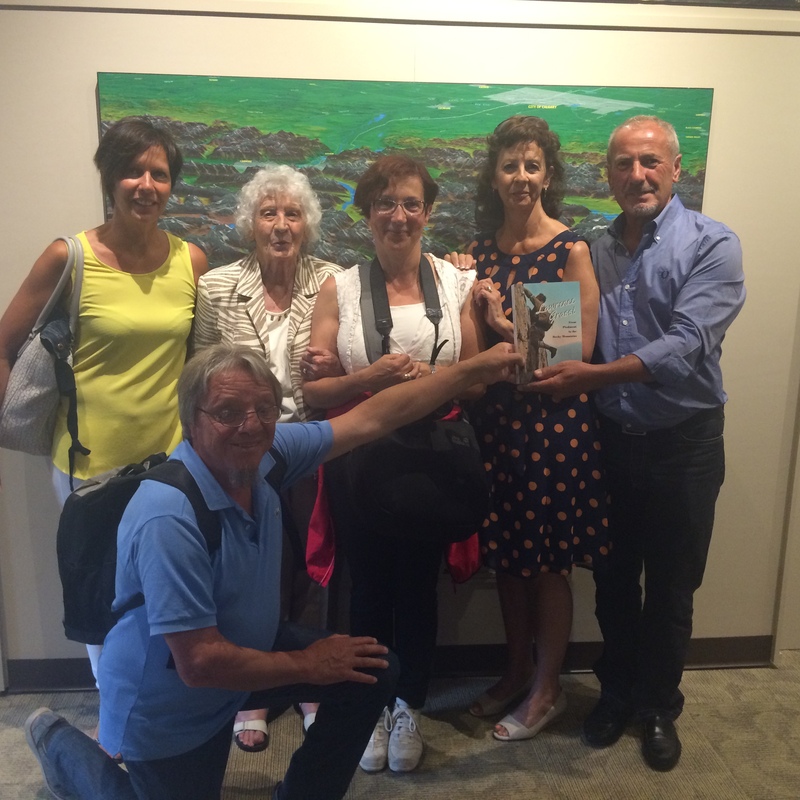 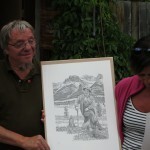 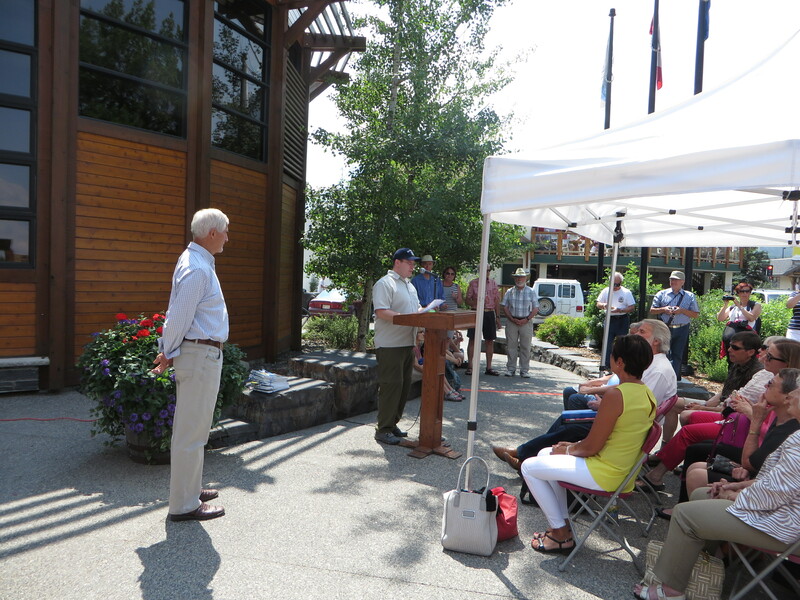 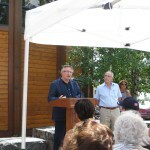 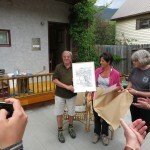 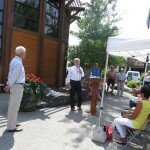 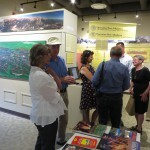 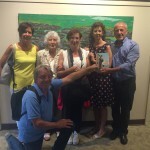 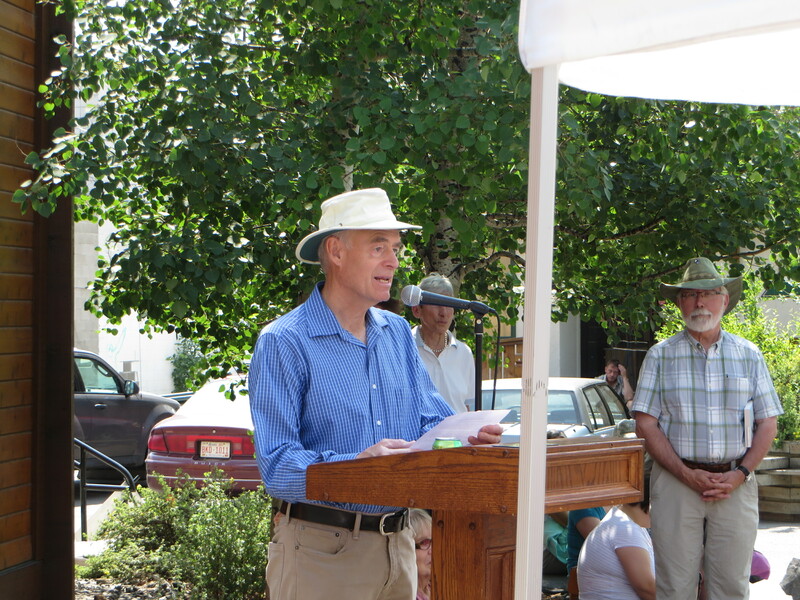 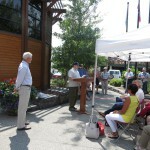 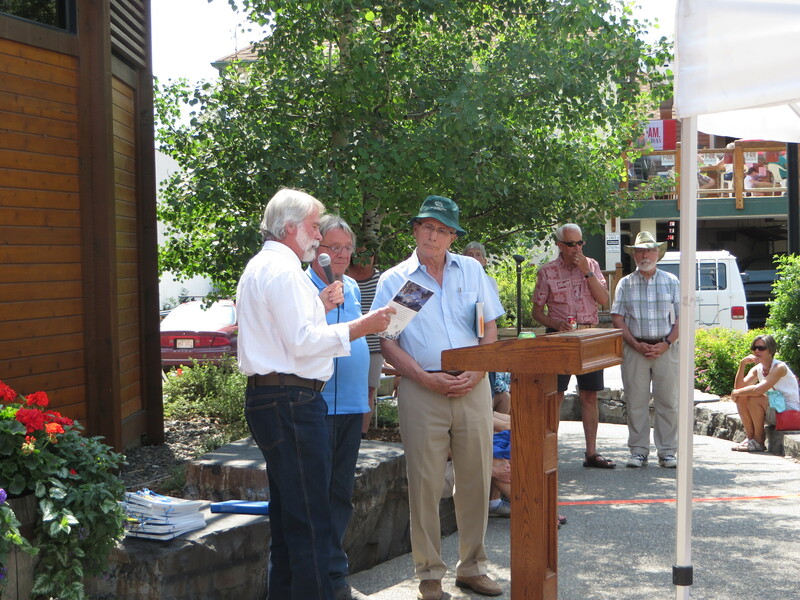 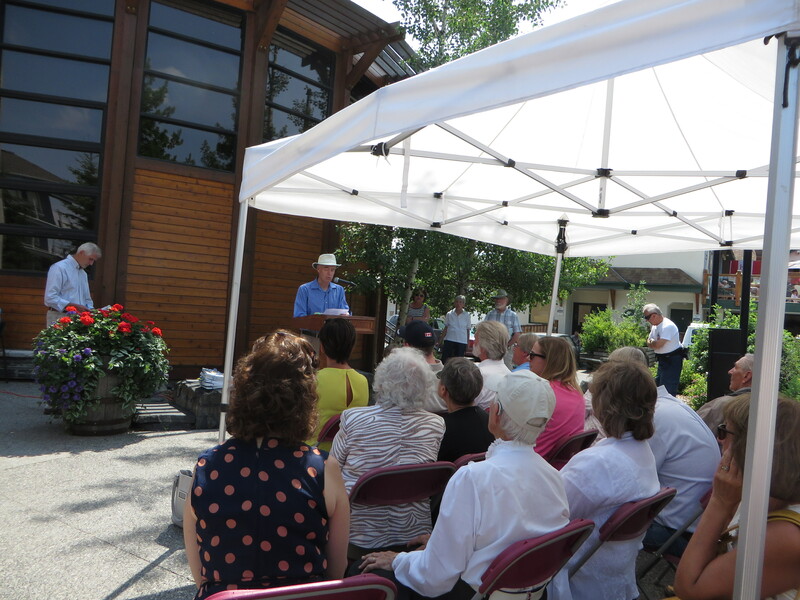 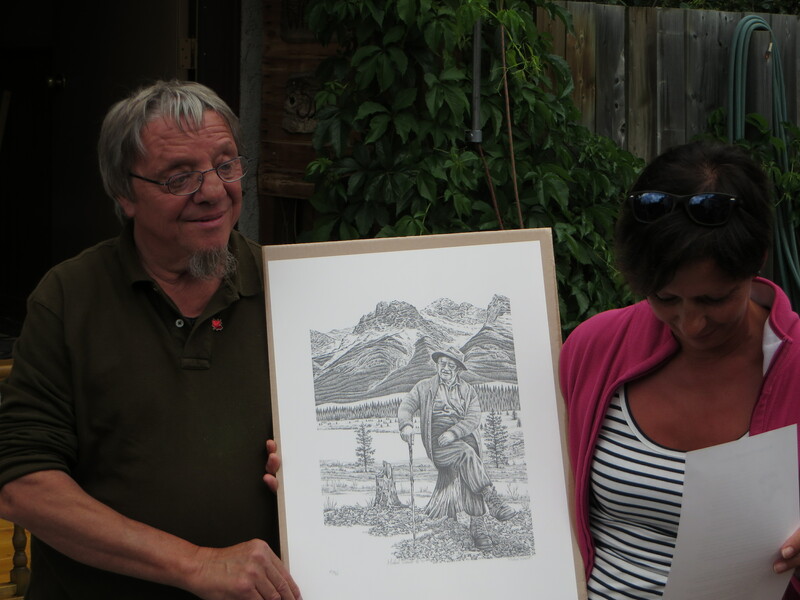 The Canmore launch of the new book called “Lawrence Grassi – From Peidmont to the Rocky Mountains”, written by Elio Costa and Gabriele Scardellato, occurred on Saturday July 11, 2015 as part of the Miners’ Day Parade and BBQ event. 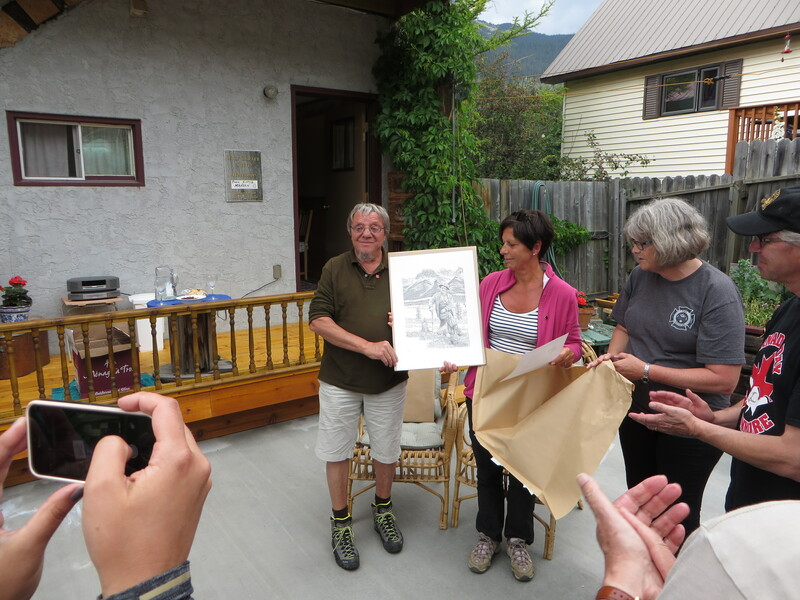 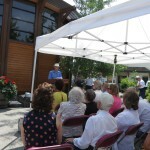 The organizers of the event were Randle Robertson (Field, B. C.) and Vi Sandford (Canmore Councilor). 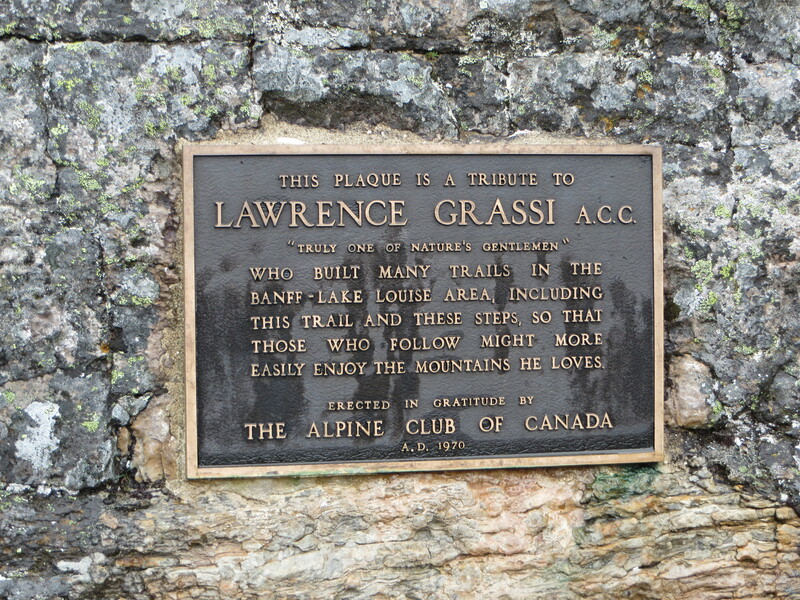 At 12:30pm on Saturday, speeches in tribute to Lawrence Grassi’s life-time accomplishments were made at the Miners’ Day BBQ to all the attendees plus invited book-launch guests including a number of people from Falmenta, Italy, Lawrence Grassi’s home town. 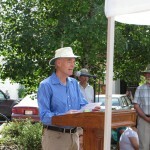 The MC was Randle Robertson. 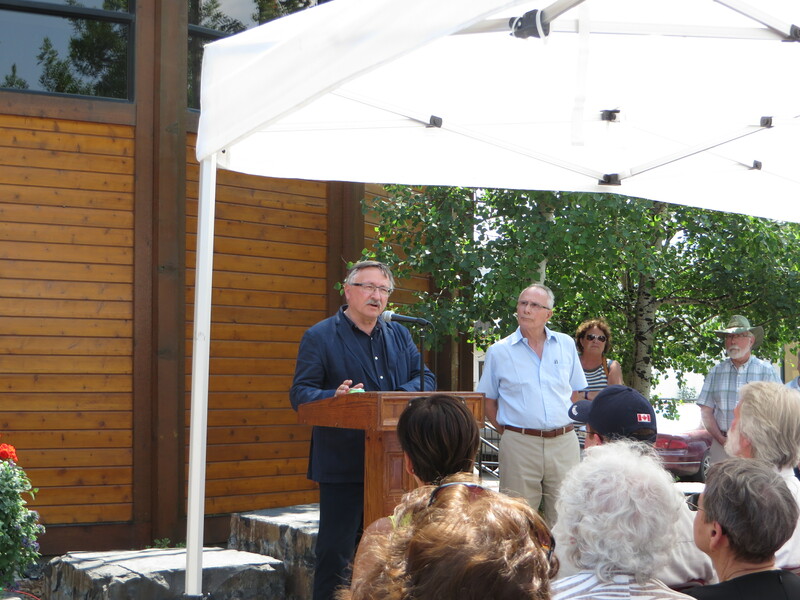 The speakers were: John Borrowman (Mayor of Canmore), Cam Westhead (NDP MLA), Rick Green (Past President, Canmore Museum and Geoscience Centre), Chic Scott (on behalf of the Alpine Club of Canada), Luigi Milani (Mayor of Falmenta) and Elio Costa & Gabriele Scardellato (the co-authors of the new book). 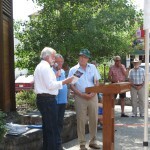 Book signing followed the speeches. 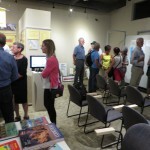 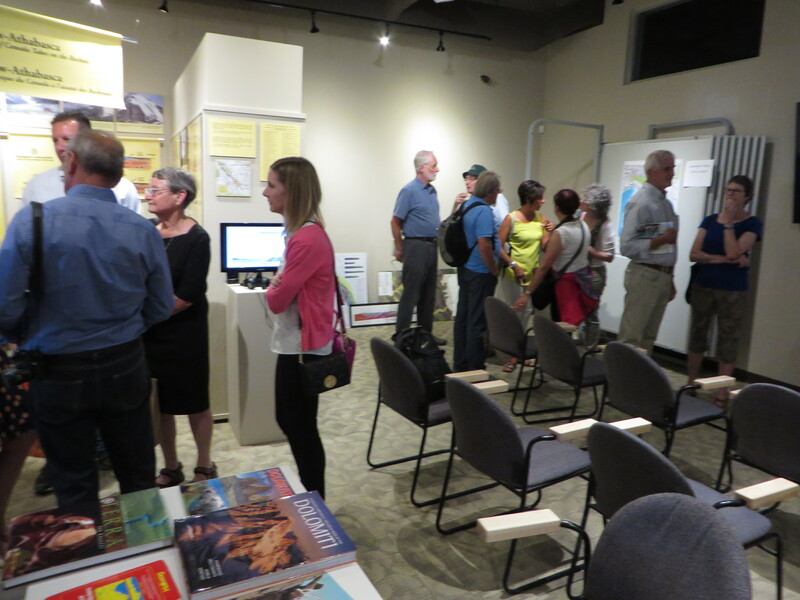 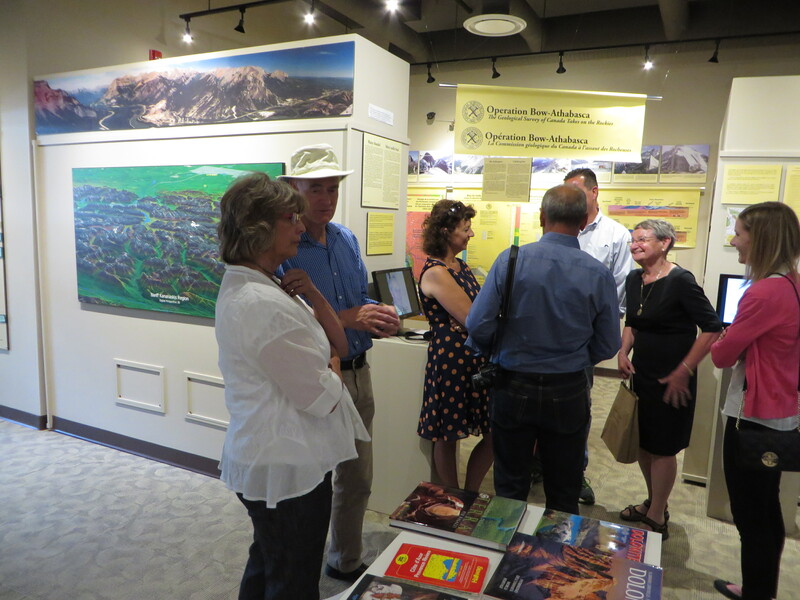 Following the book signing, a portion of the invited group walked over to the Canadian Rockies Earth Science Resource Centre to see pictures of the Grassi Lakes area including the falls, the lakes and some owls and yellow Lady Slippers. 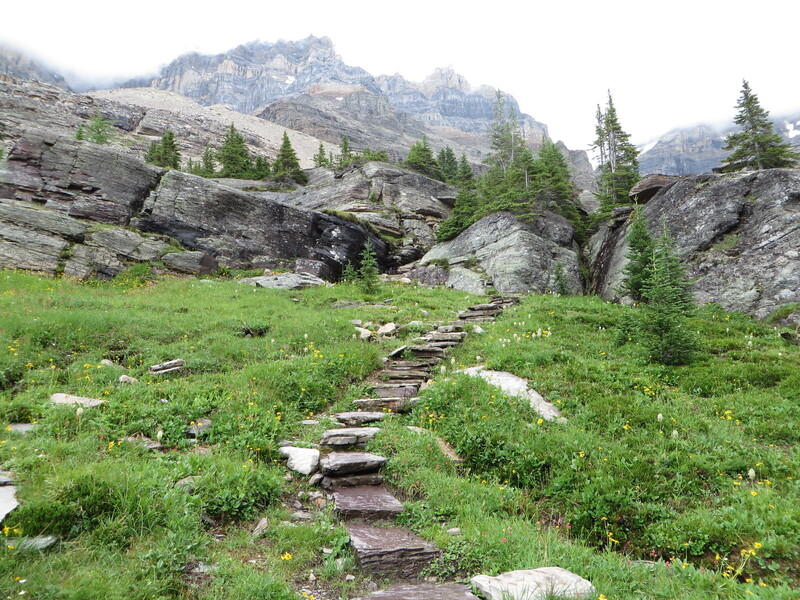 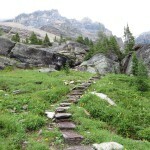 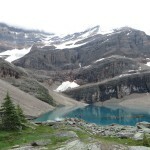 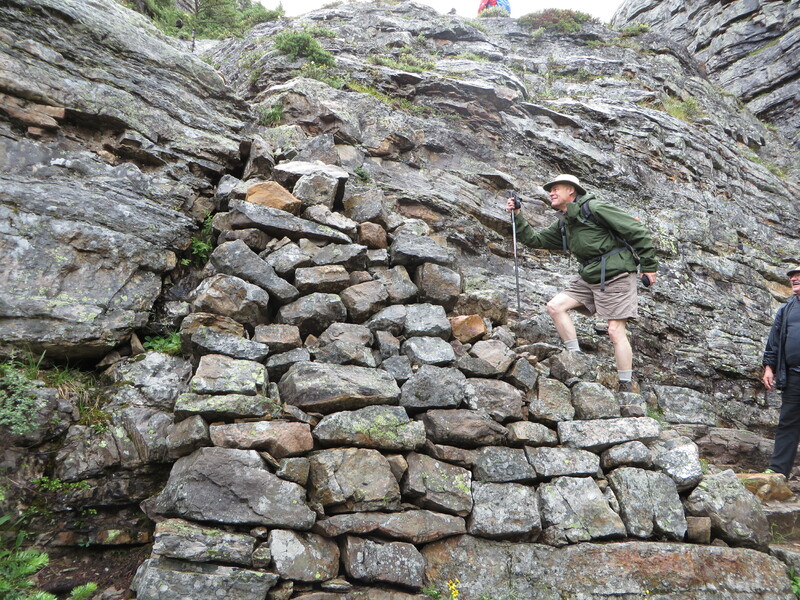 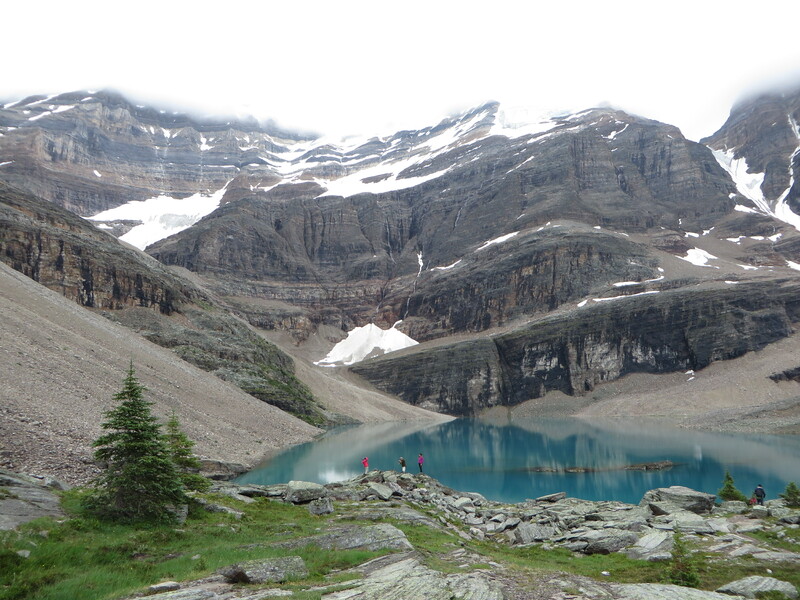 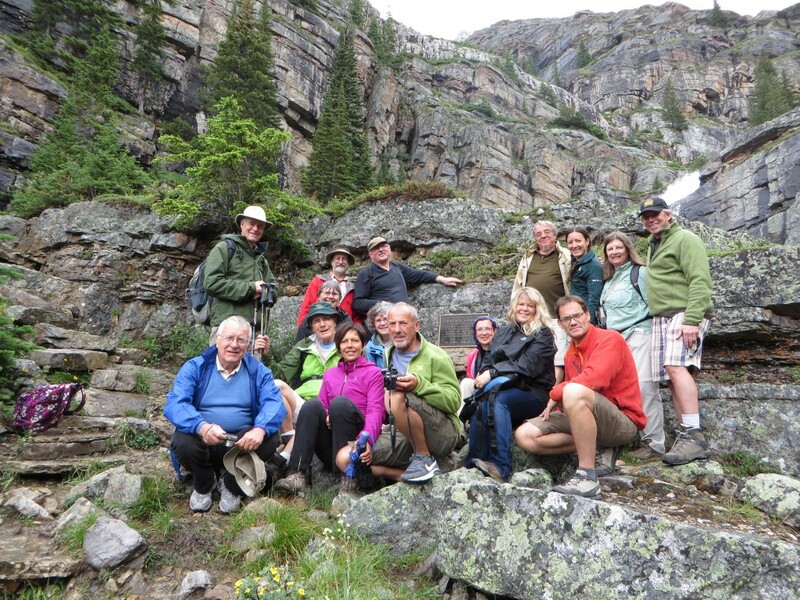 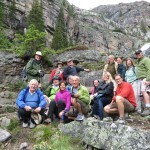 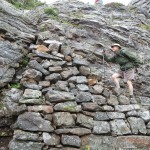 On Sunday, guests from Italy, members of the Canmore Museum and Geoscience Centre and the organizers participated in a trip to Lake O’Hara to see the Lawrence Grassi plak on route to Lake Oesa. 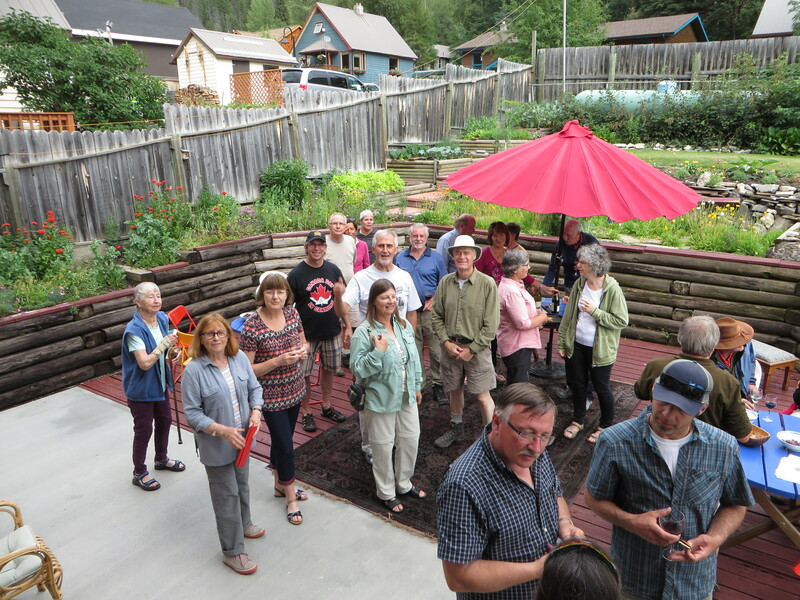 The day ended with a wine and cheese party at the house of Randle Robertson. 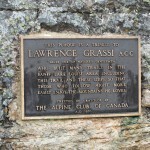 Please click on the image for enlarged original version.